Brand new Arts and Crafts home by JAG Construction with mountain views. GreenBuilt and Energy Star certified home boasts low energy bills. Convenient to Merrimon Avenue shopping and dining. Open, flowing floor plan with oversized windows for great natural light. Gourmet kitchen features granite counters, stainless steel appliances, pantry, tile backsplash and a gas range/oven. Breakfast bar in kitchen opens to dining/living room. Master bedroom on the main features two closets for extra storage and full bathroom that includes a walk-in tiled shower, dual vanity and granite counters. Two bedrooms and one full bath on the second level. Finished basement with a separate entrance, bedroom, large second living room and a full bathroom. 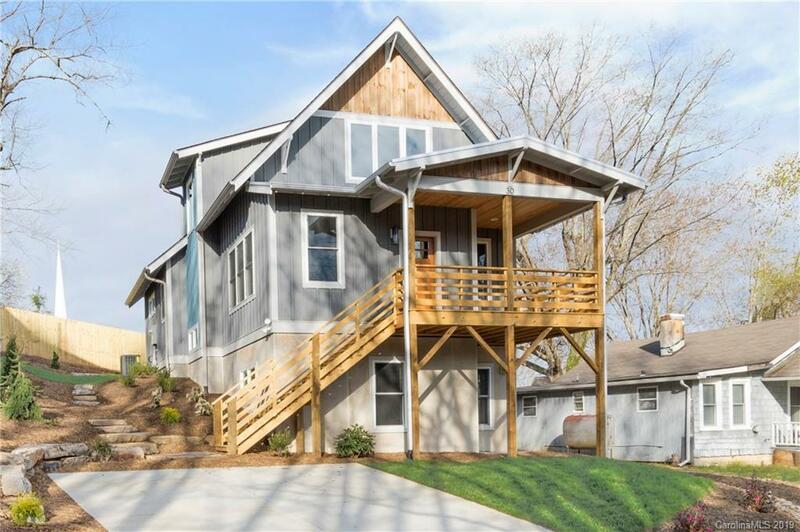 Potential for Airbnb through Asheville’s Homestay regulations (buyer to verify). Outdoor living with a covered front porch and spacious back deck. Professionally landscaped yard features large decorative stones and a privacy fence. See brochure for details.